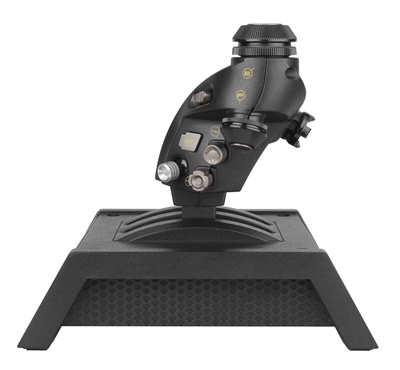 Features on-the-fly adjustment of the force settings for the stick – including separate adjustments for each axis of the stick for the ultimate in stick response configuration. A potential total of 608 commands possible without ever moving your hands from the controls! 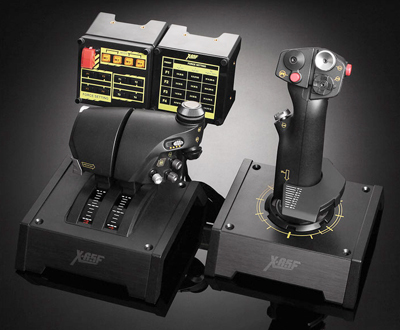 In a world first for a manufactured simulation controller, the X-65F’s stick does not move; instead, like those found in real modern fighter jets, it responds to pressure that you exert on the handle, resulting in a fast, accurate and realistic response that will make you the ace in your squadron. With no moving parts and a shaft that is made from high grade steel, this provides incredible reliability and longevity.